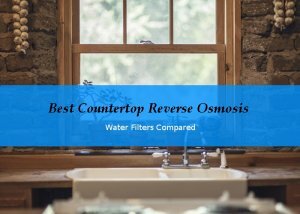 Countertop water filters are a popular choice for good reasons. They filter water effectively, are easily installed and come at an affordable prize. Installing does not require plumbing changes. The flow rate is usually higher than those of faucet mount filters and they also last longer without a filter change. 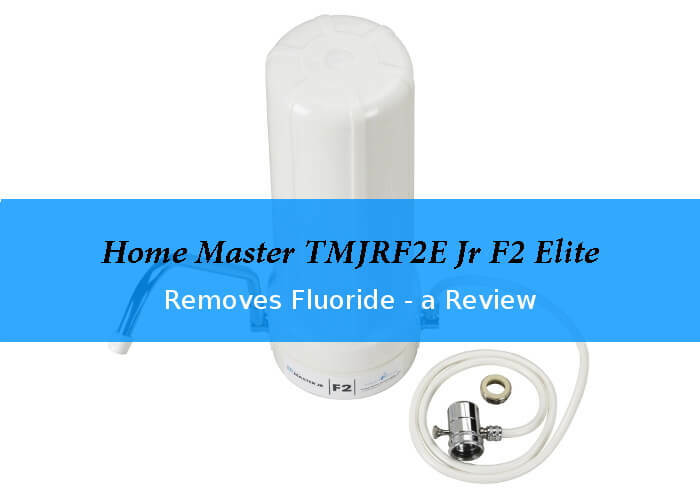 The Home Master TMJRF2 Jr F2 comes with a five-stage filter that is able to remove up to 93 percent of dirt and rust; soluble metals like fluoride, arsenic, lead, iron, mercury, copper, and aluminum; chemicals like chloramines, chlorine, VOCs, THMs, and many pharmaceuticals (microcontaminants) responsible for bad taste and odor of your tap water. While ordinary carbon filters are unable to effectively remove chloramines, this model with catalytic carbon as filter medium does a much better job. 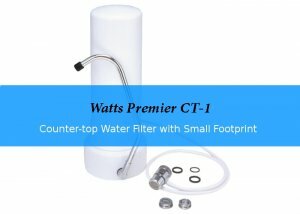 The unique compressed discs in the filter help to avoid the problem of water bypassing the filter medium. What does the Home Master TMJRF2E Jr F2 Elite remove? 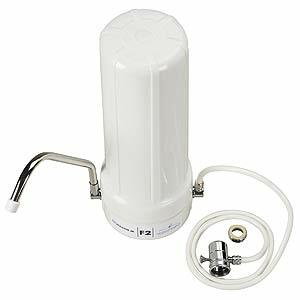 Beside the removal of dirt and rust, fluoride, aluminum, lead, iron, mercury, copper, chloramines, chlorine, VOCs, THMs, this filter also deals with many pharmaceuticals (microcontaminants). The footprint on your kitchen counter is with 12" tall x 4.5" diameter relatively small. The compact design makes it also possible to take it with you when you travel. Faucet, adapters, diverter valve, tubing and the heavy duty, long-reach chrome faucet are included in the package. 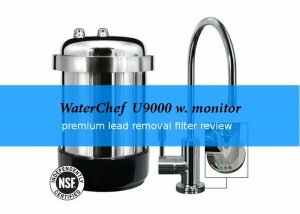 Replacement filters are available online. Just make sure, you get the right one with the filter part number: CFF25-10. I found them on Amazon and it might be worth to shop around a bit. Some consumers complain about difficulties to open the housing for filter change. If you are interested how this system compares to the New Wave Enviro 10 Stage Filter or the Aquasana AQ-4000W model, please see our comparison chart here.